Hawaii Five-0 Casts Joan Collins! Hawaii Five-0 is adding a TV icon to its ranks during Hawaii Five-0 Season 9. Joan Collins took to Twitter to confirm she would be appearing in the hit drama series. "Loved doing Hawaii 5-0 with a wonderful cast and crew! 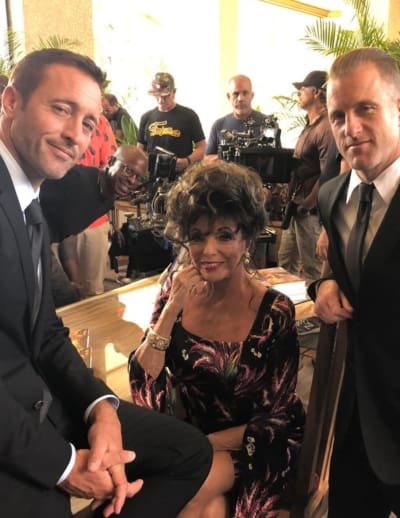 @HawaiiFive0CBS #HawaiiFive0," Collins captioned the below picture in which she poses alongside series stars Alex O' Loughlin and Scott Caan. The actress shared the news over the weekend, and TV Line has now confirmed details about the casting. Collins is on board to play Amanda Savage, the mother of Rachel for one episode. Related: American Horror Story Casts Joan Collins! She is slated to appear on Hawaii Five-0 Season 9 Episode 18 which is slated to air in the spring. If you watch Hawaii Five-0 online, you will know that Danny has had a testy relationship with Amanda, and is under the impression she does not like him. Whether she does actually like him or not, it sounds like she'll need his assistance because TV Line is reporting that she will turn to him and Steve to be part of her security team for a book tour. It all sounds rather bizarre, but we'll reserve further judgment on the casting until the episode actually plays out. That being said, Collins plays a great rich socialite. From her role as Alexis Colby on the original Dynasty to her short tenure on American Horror Story: Apocalypse, we think it's fair to say she's going to turn in a convincing performance. Airing on Fridays in the 9/8c slot, Hawaii Five-0 remains a solid option for CBS in its ninth season. It is currently down year-to-year by almost 15 percent, but it is averaging 7.5 million total viewers and a 0.8 rating. 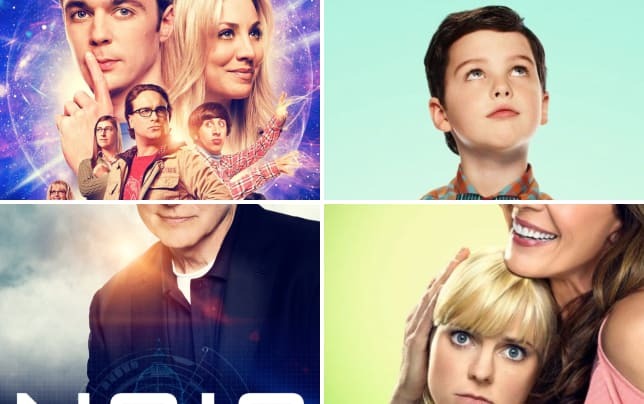 It stands a very good chance at being renewed, assuming both Caan and O'Loughlin are willing to reprise their roles for another year.